The Lone Survivor is the latest game by Midnight Adventures, and it starts off with you crash landing your plane on a mysterious island. It can be tricky at times, so I’m making a step-by-she walkthrough for anyone who might need help. It’s a work in progress, so please bear with me. Feel free to ask for extra help in the comments section. 1. You start at Screen 1. Head straight to Screen 2 and continue to Screen 3. Examine the bike and take its handlebar. 2. The blue shack is missing its doorknob so ignore it for now and head past it to the water at Screen 5. 3. Continue ahead to Screen 6 and use the handlebar to slide down the rope. Go through the door. 4. 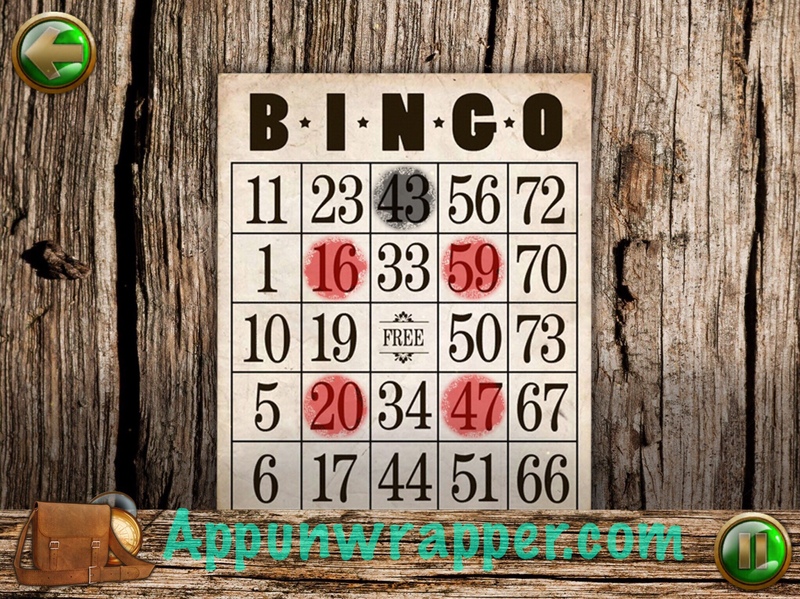 There’s a Bingo card here and it will automatically get added to your journal as a clue. Pick up the bucket. 5. Solve the puzzle on the wall by swapping around the items so they match the elements and materials along the left and bottom. Take the doorknob. 6. Head back to the blue shack and use the doorknob on the door. Go through to screen 4. 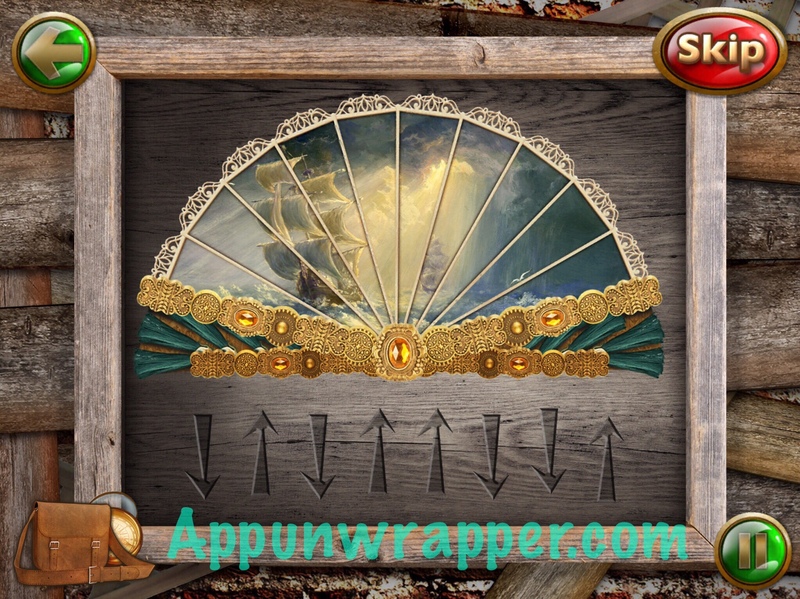 Pick up the oars and solve the fan puzzle to get another clue. 7. Go back to Screen 6. Tap the left side of the screen to go to screen 8. Pick up the note and then continue ahead to screen 9. 8. Tap the light above the statues and then watch the statues move. Memorize the sequence and then copy it. It seems to be different each time, so I can’t help you with it. Go through to screen 10. 9. You can place the oar on the boat, but we still need something to plug the leak. 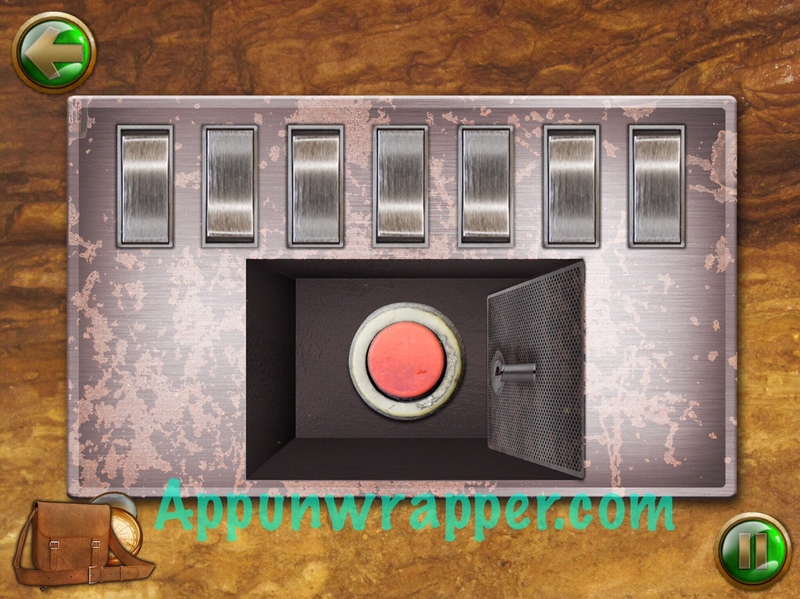 Head straight and use the arrows clue you found at screen 4 to unlock the wall safe. It goes: Down, Up, Down, Up, Up, Down, Down. There’s an extra arrow in the clue. Press the button and then take the Brooch 1, a cork, and another clue. 10. 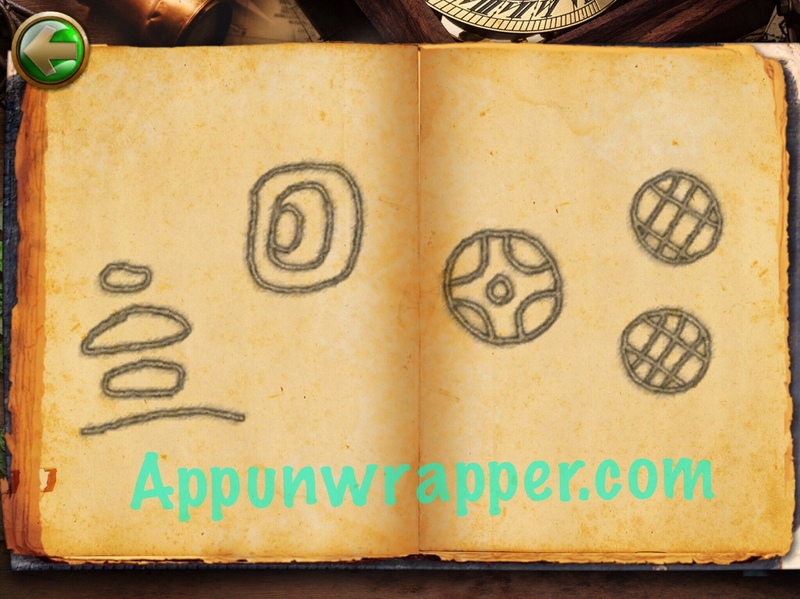 Go back a bit and solve the Mayan Glyphs puzzle using the clue you just found. Sorry, I couldn’t get a photo in time. 11. Use the cork to plug up the hole in the boat and use the bucket to get rid of all the water in it. Then head through the new opening to Screen 12. 12. Continue ahead to screen 13. I chose SKIP on the stained glass puzzle and was able to finish the game (disappointing ending). Since then I have begun playing The Long Journey, which also has a stained glass puzzle. It has same layout and movement, but I was able to solve it. I think I did not have every piece in the correct position when the programming decided I had correctly solved the puzzle., and perhaps The lone Survivor’s puzzle is similar. An annoying aspect of both games is that you cannot look at a puzzle after it is solved. I’m stuck on the stained glass puzzle as well. I do think it was made incorrectly by the developer. I wish someone made a video or something of that part , but I don’t think this game is that popular. I finished it really quickly. I found the puzzles unchallenging, and the game was just annoying really. The price tag was way over the top. How did you solve the statue grid puzzle? I also need help on the statue grid. I do not know what the end result should be? How did you solve the Cello game? After putting the Peg, the Chords doesn’t move. Turn up your sound. The strings won’t move but when you tap on them you’ll hear them and will know if you hit the right ones. 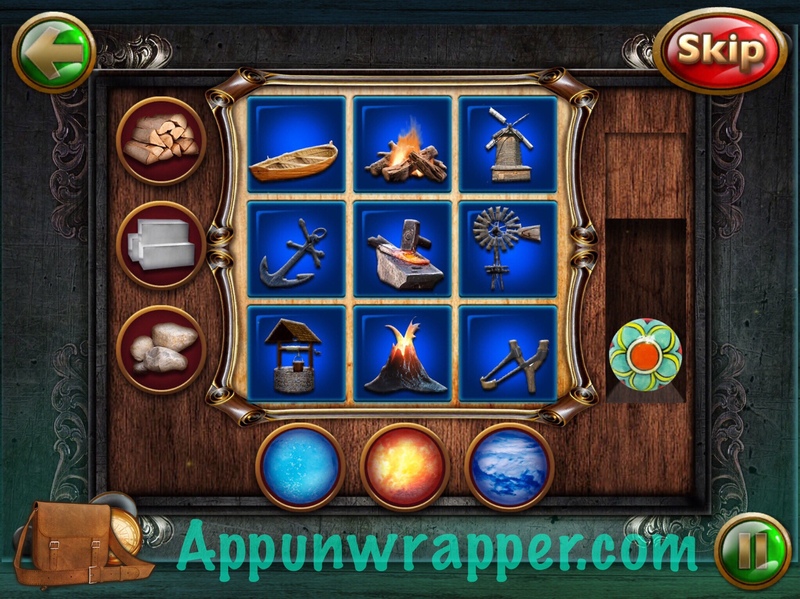 How do you solve the tumpet puzzle in the van? You should have a page in diary showing music notes of different colors. Push the trumpet buttons in the same color order shown in the diary. I seem to have missed the fishing net somewhere. Can anyone advise where this is? How do I cross the bridge in 20? In screen 13 there is math puzzle, how to solve it. Last survivor scene 61 using peg for cello… peg disappears from list before close up of strings appears.?.. Where do you get mirror piece 2?